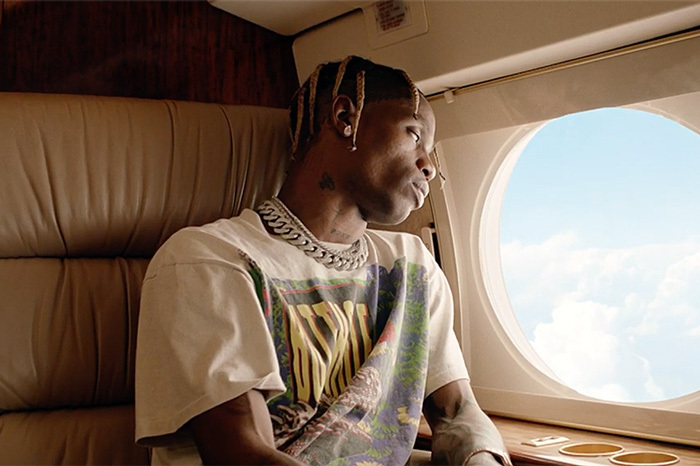 Travis Scott ventures into dreamland in the NABIL-directed video for YOSEMITE Featuring Gunna and Nav. The clip follows the journey of a young boy who mysteriously finds himself in an amazon like forest. As he wonders through the woods, he comes across an Astroworld-inspired theme pack complete with a statue of Travis' head, roller coaster and a ferris wheel. "YOSEMITE" video is in support of La Flame's No. 1 album ASTROWORLD released four months ago. The rapper is currently on his Astroworld: Wish You Were Tour with Gunna, Trippie Redd and Sheck. The tour concludes Dec. 19.